It is sometimes hard to describe a chain restaurant unless something really special happens or the service is over the top. Food quality must meet a certain standard. At this location, the staff were friendly and the order came in a timely matter. 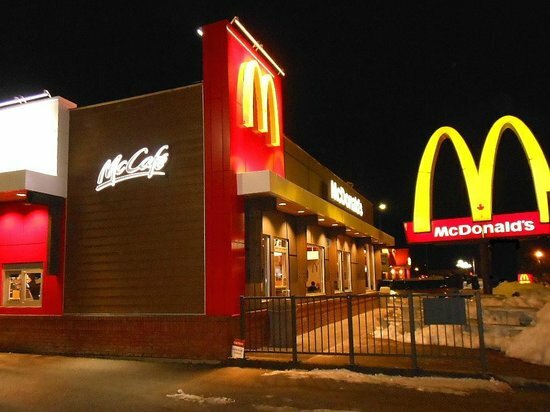 Well located, good parking and friendly staff, otherwise standard McDonald's with usual menu and facilities. 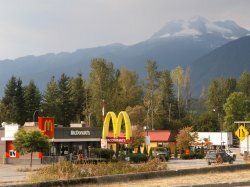 We stopped in this McDonald's restaurant on the Trans Canada Highway Revelstoke British Columbia June 2. Clean restaurant and good hot coffee handy location. The best restaurant I've ever ate at. I had an amazing, high quality meal at this establishment. The service was great, the servers were enthusiastic and willing to cater to my every need. The restaurant was very clean and up to date with a fancy ordering kiosk. 10/10 would come back. I normally would not review a McDonald's but the young people who served us were outstanding. Patient, friendly, offering to help at the self-serve kiosk and just making the experience a positive one. Received our order just as requested also.